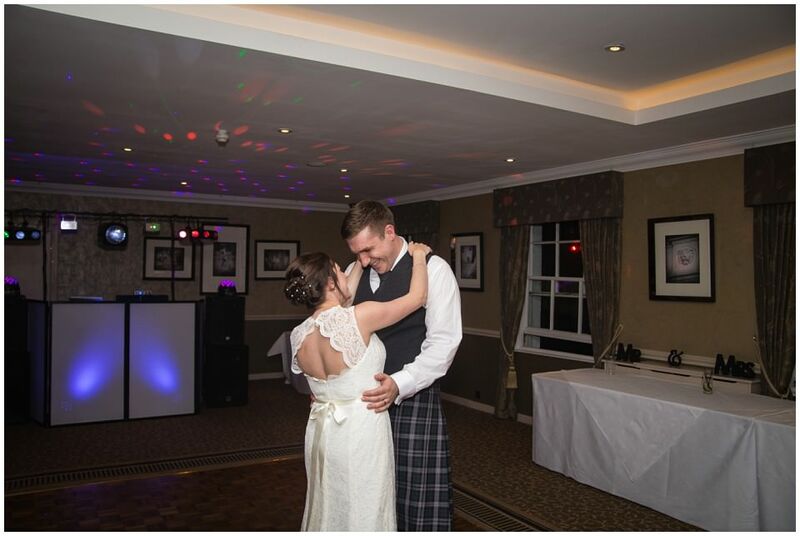 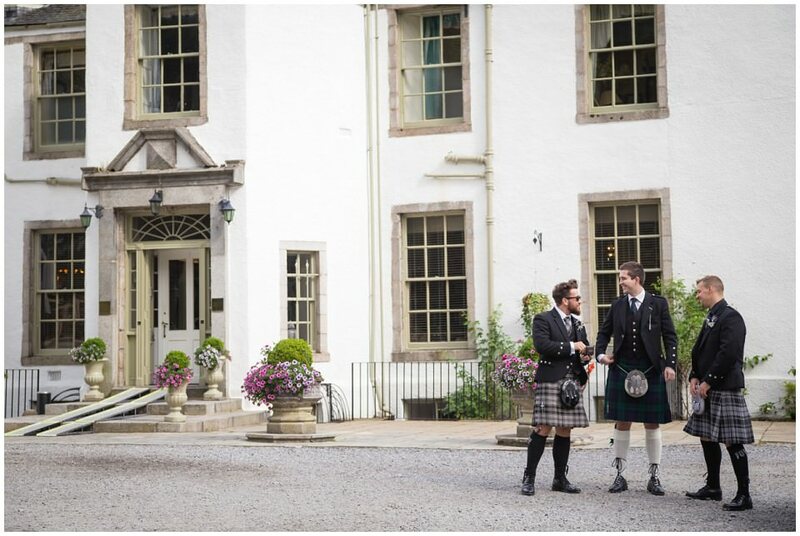 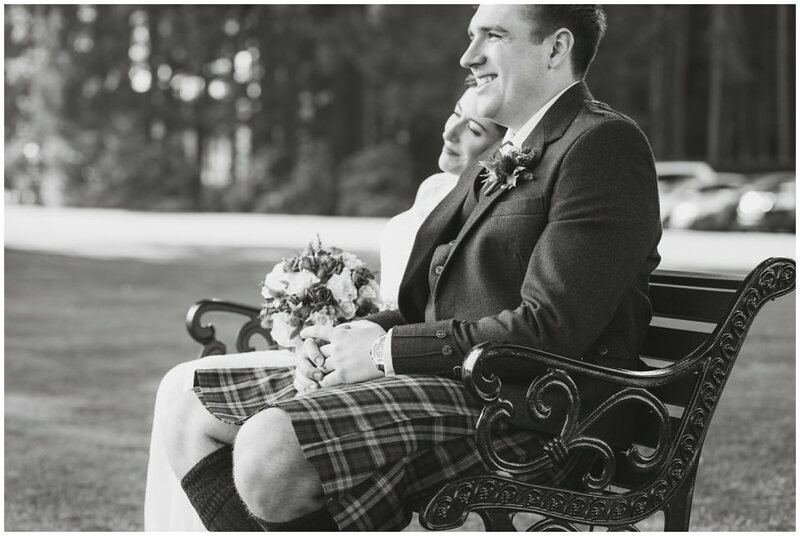 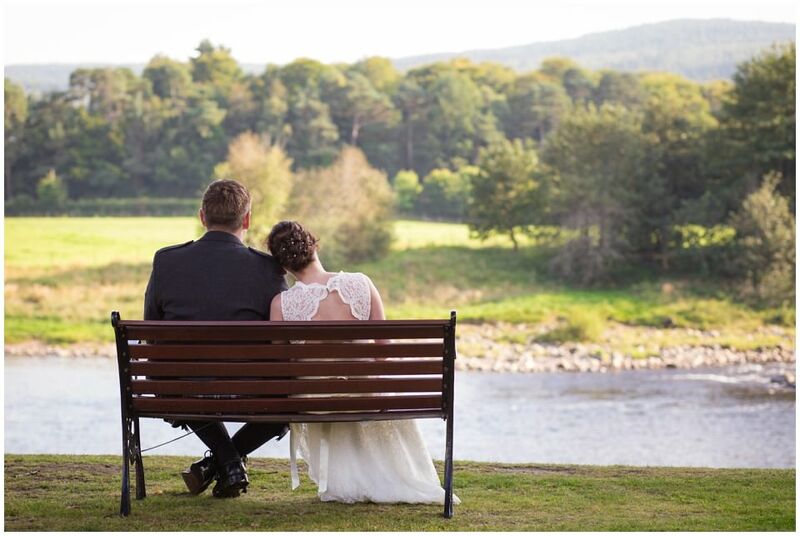 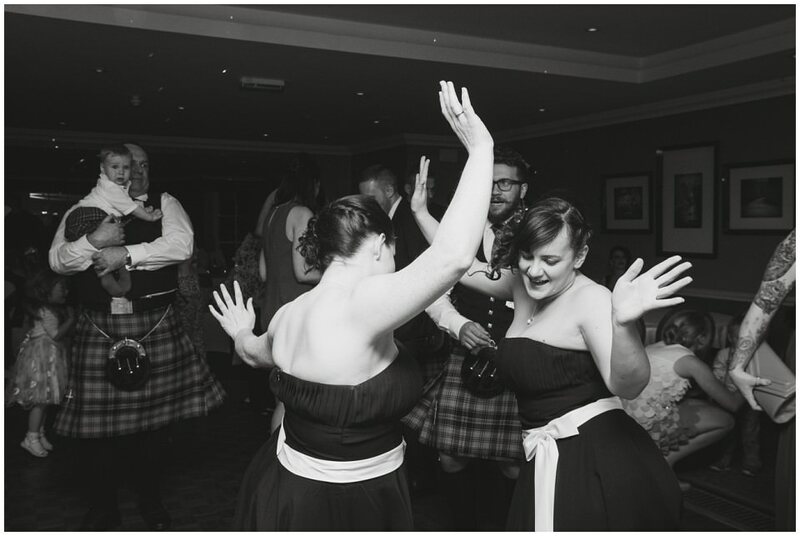 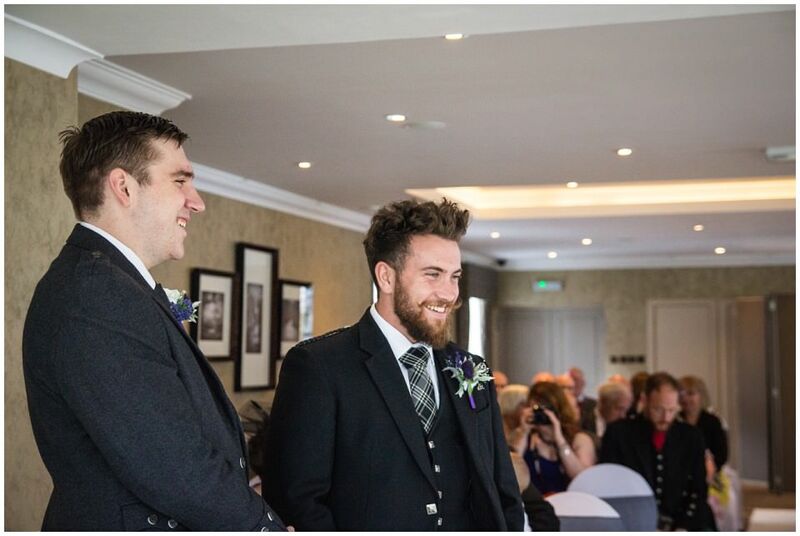 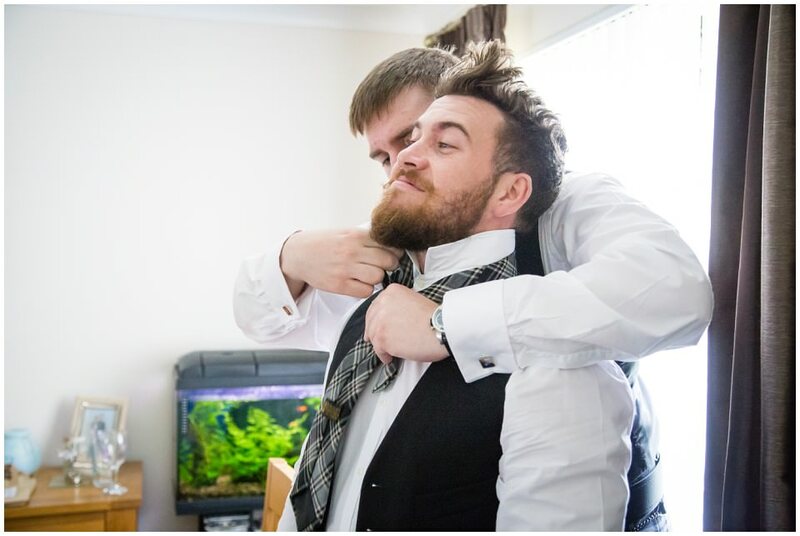 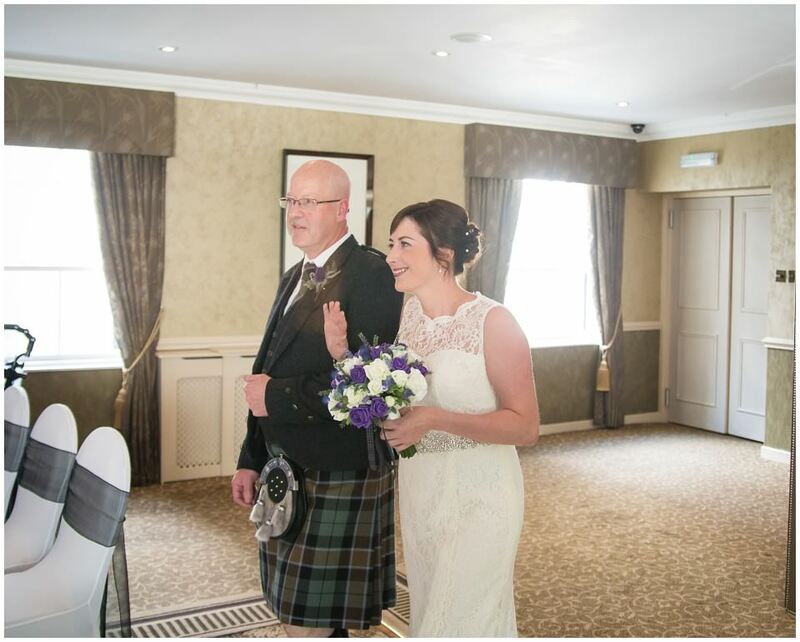 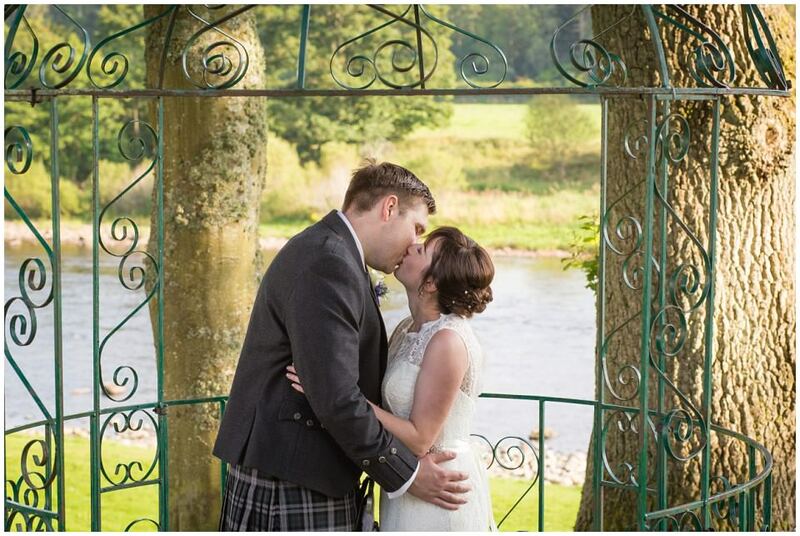 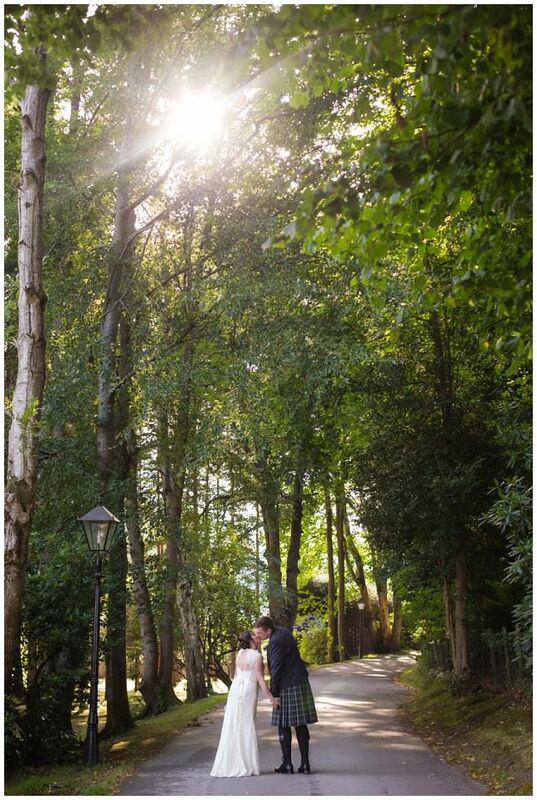 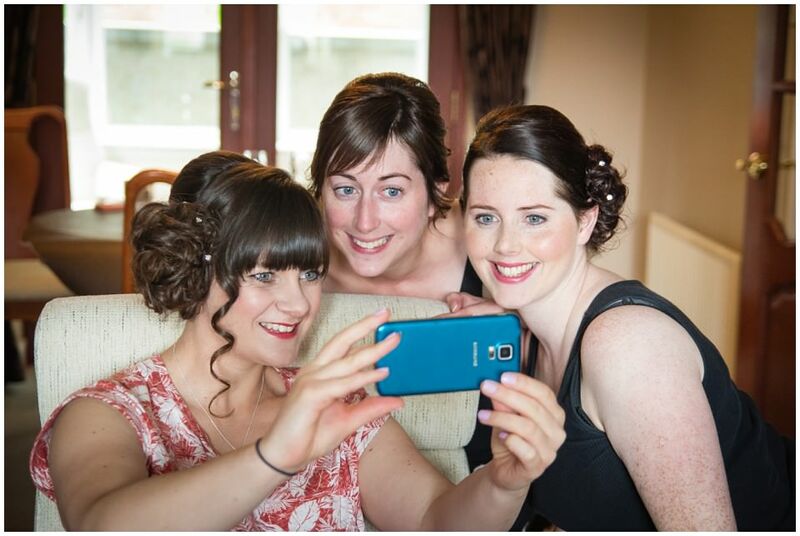 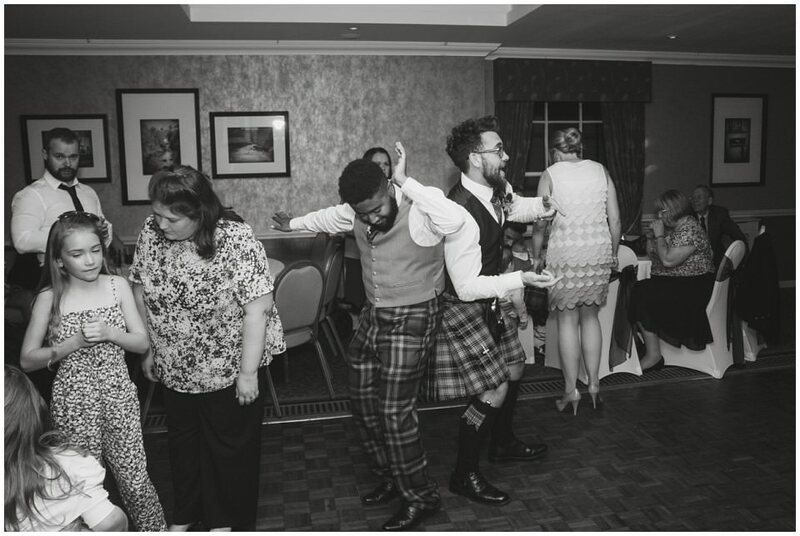 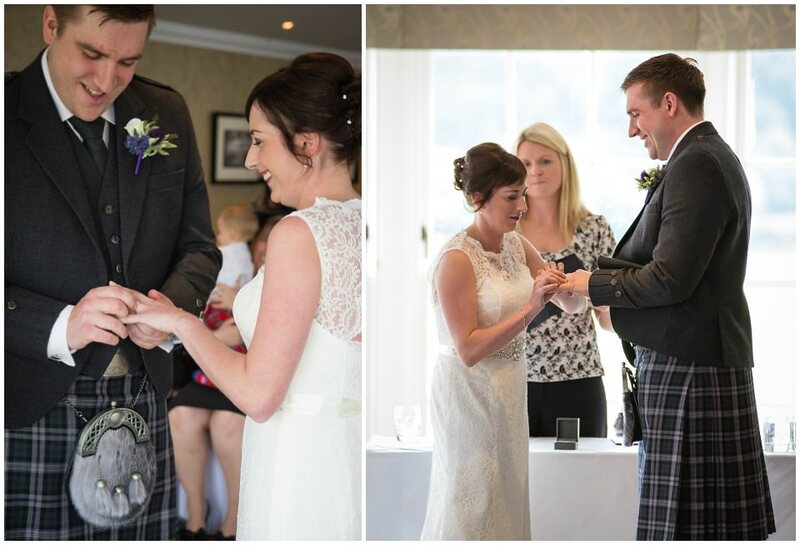 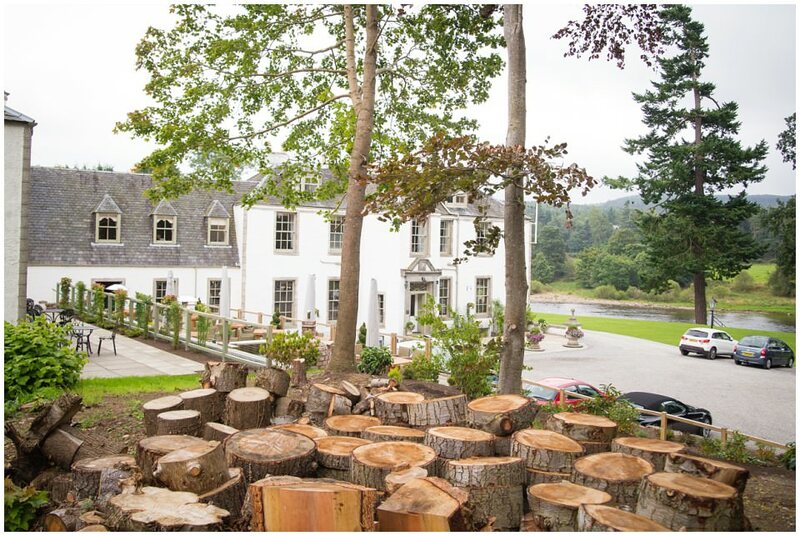 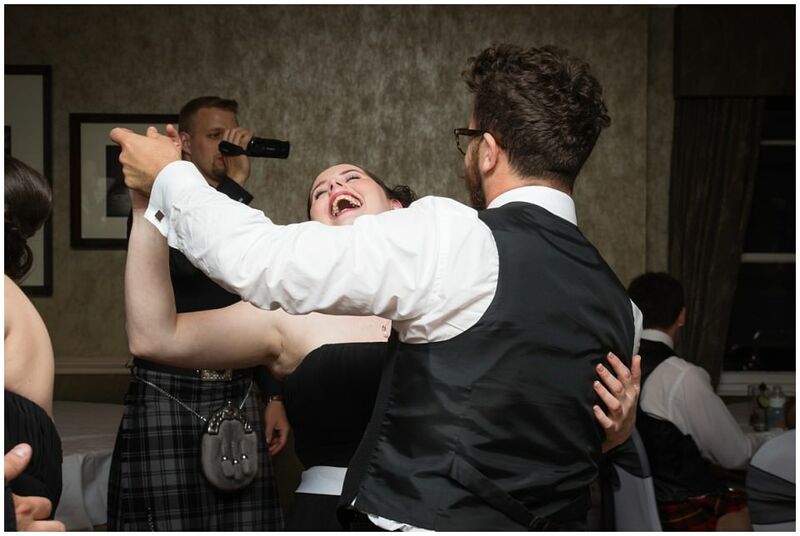 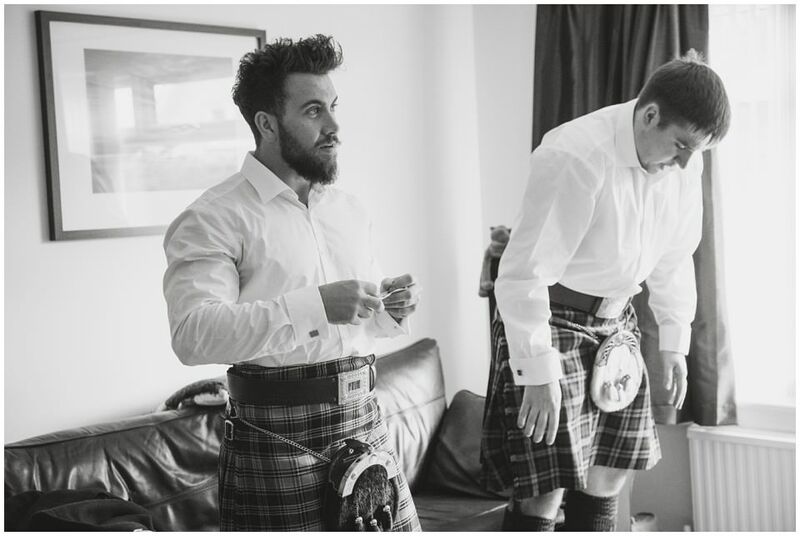 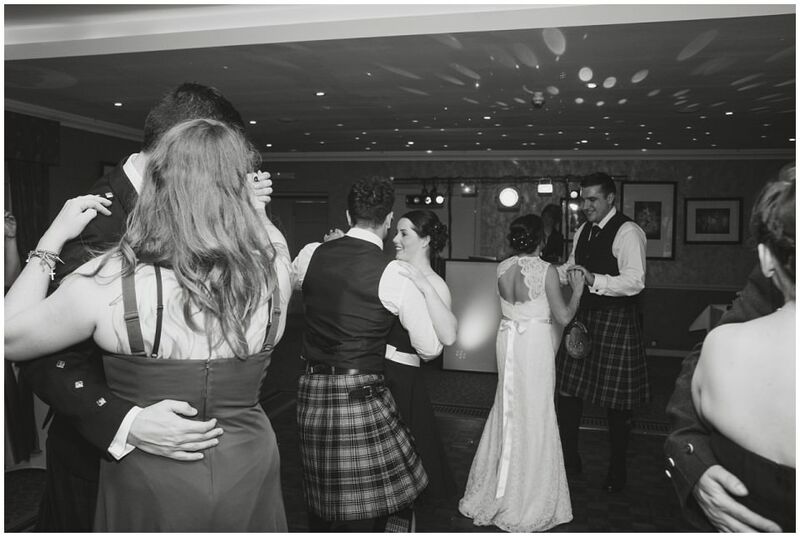 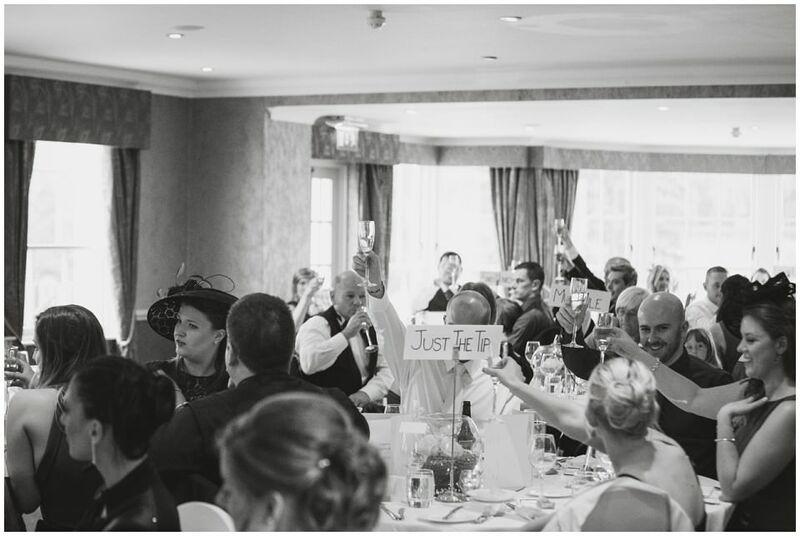 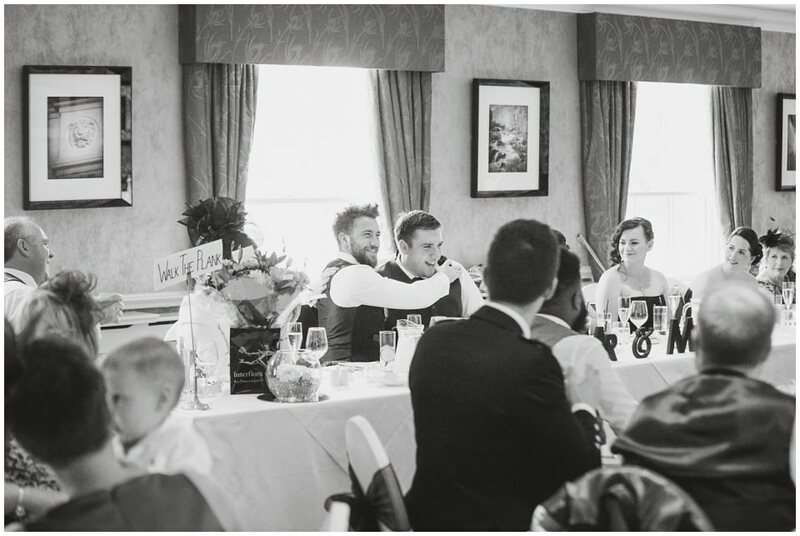 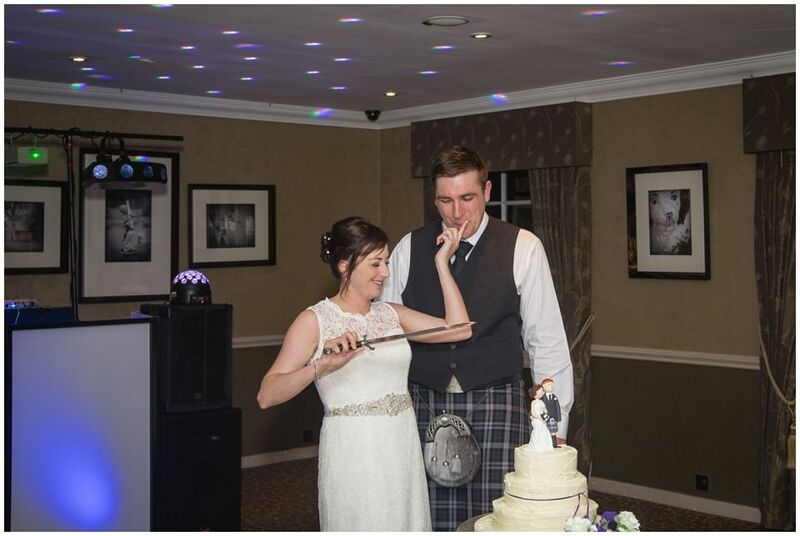 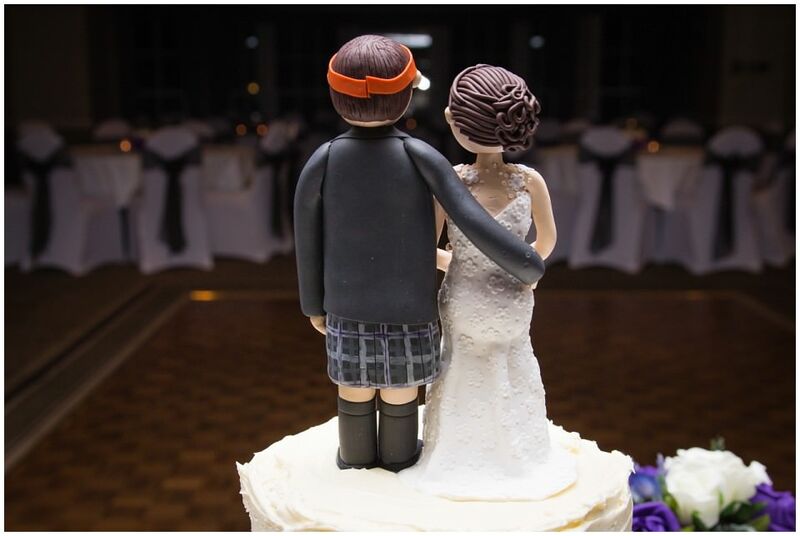 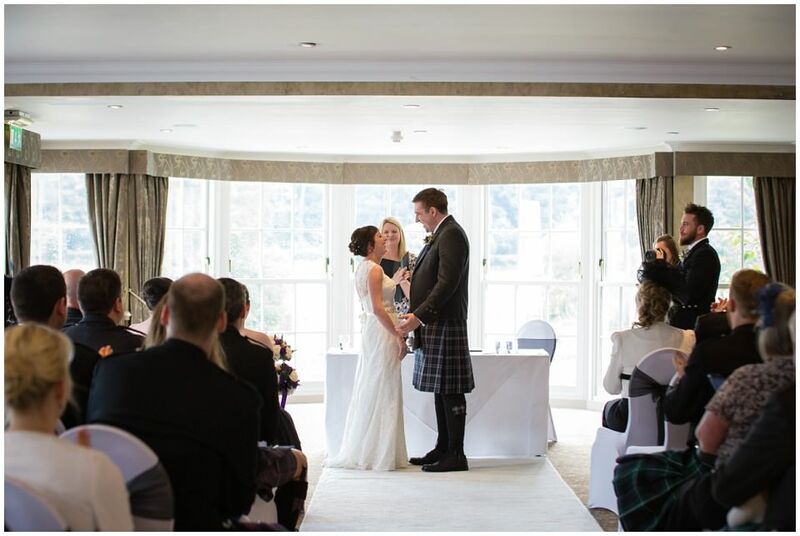 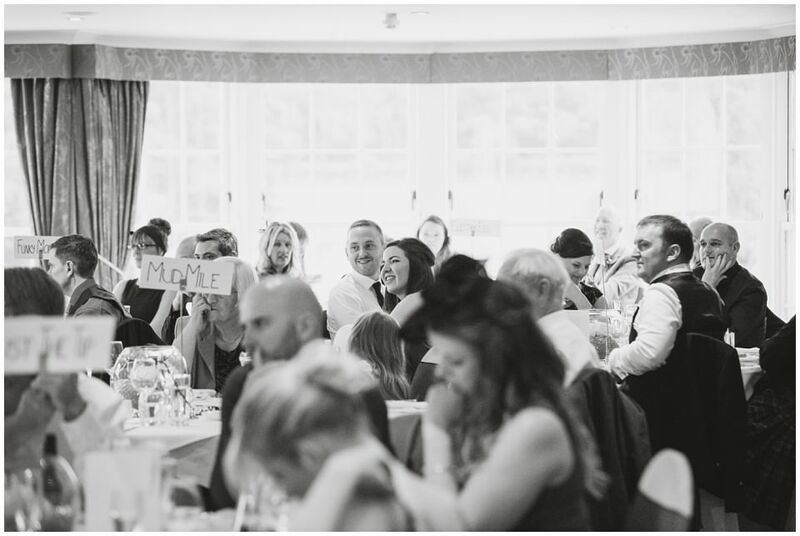 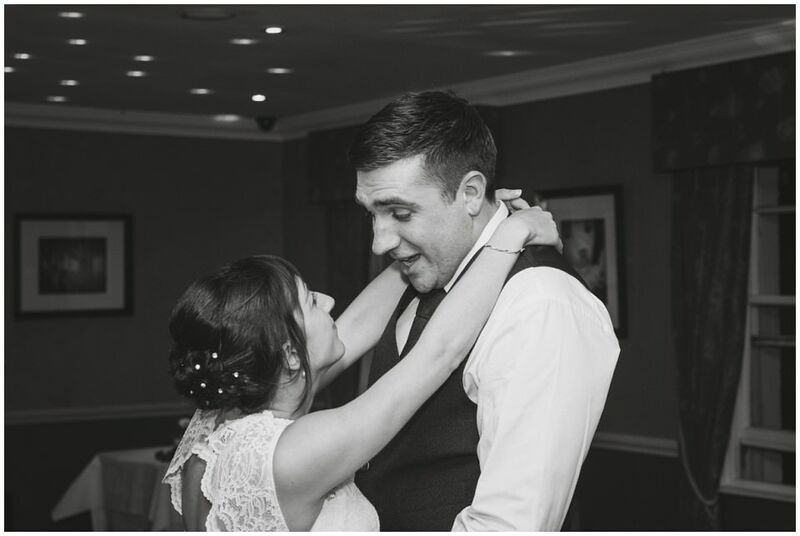 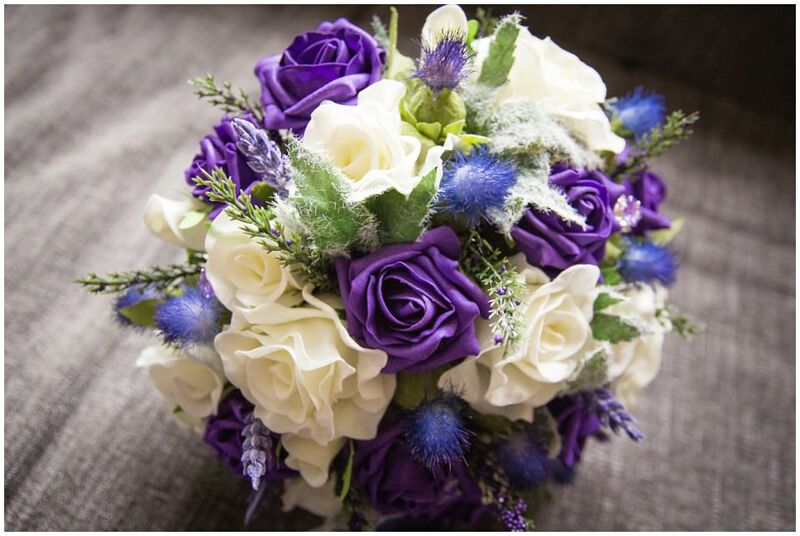 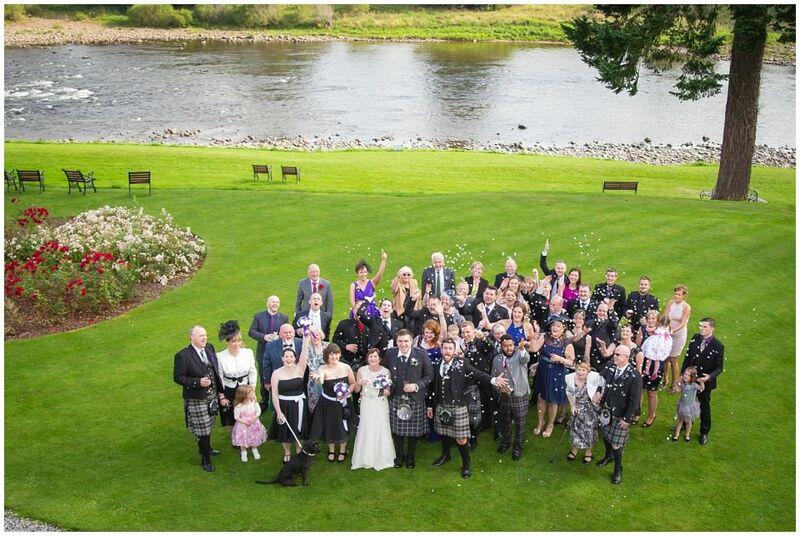 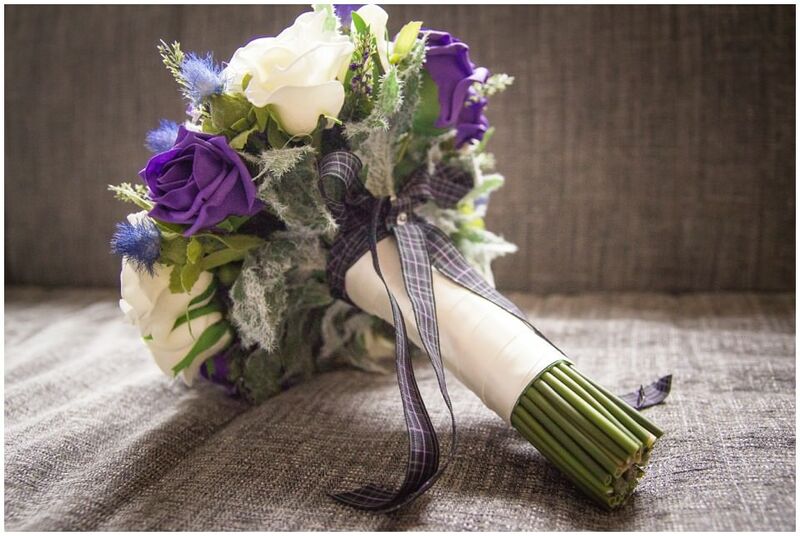 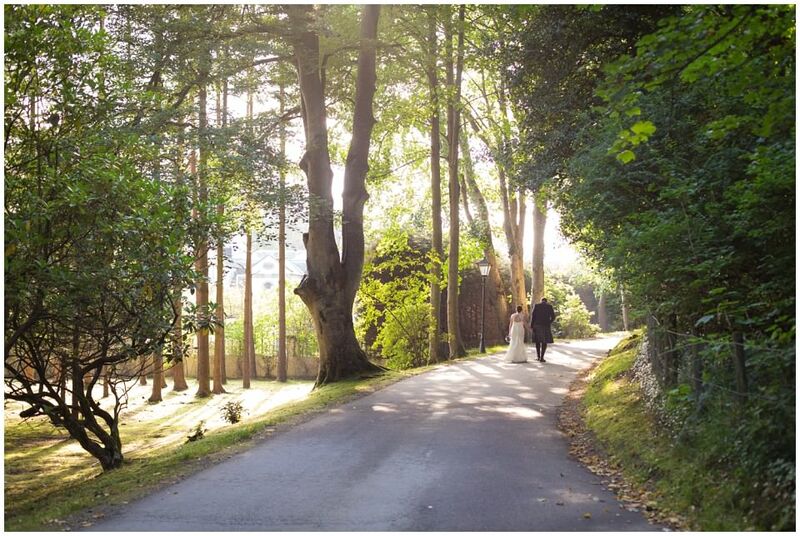 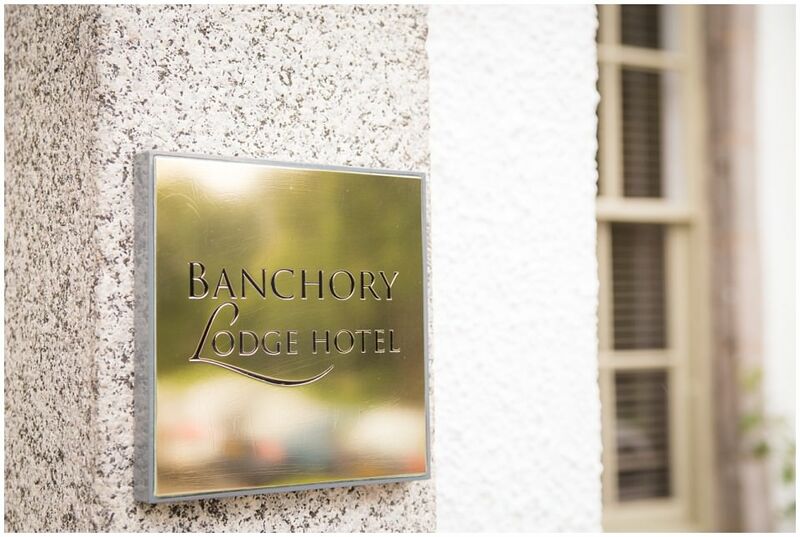 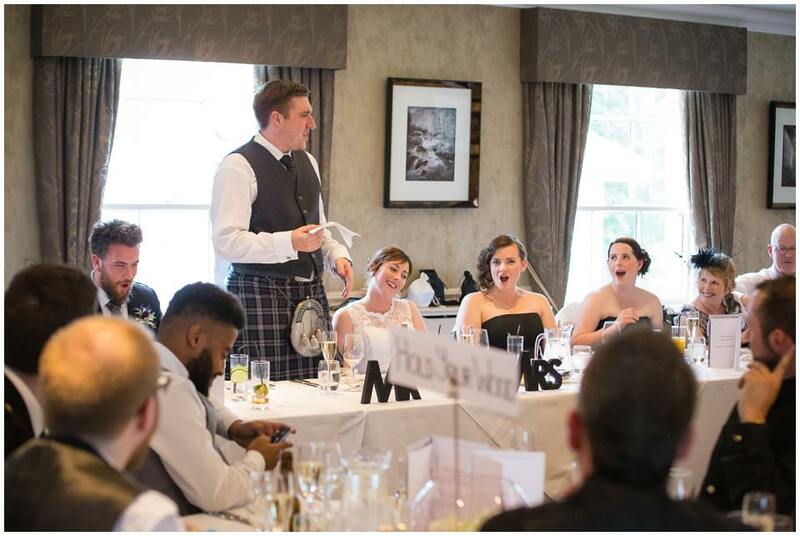 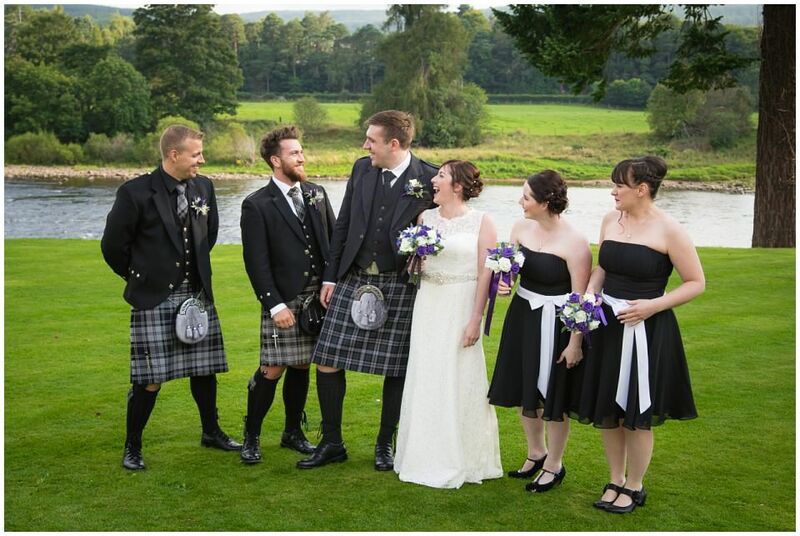 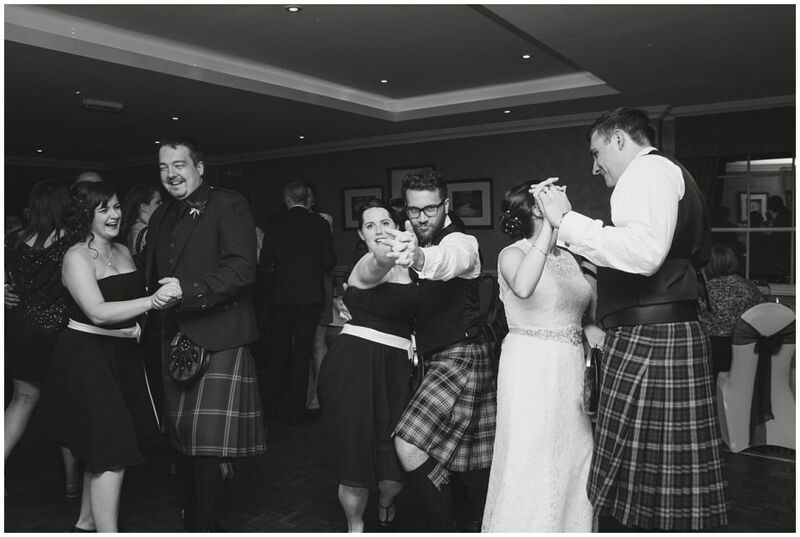 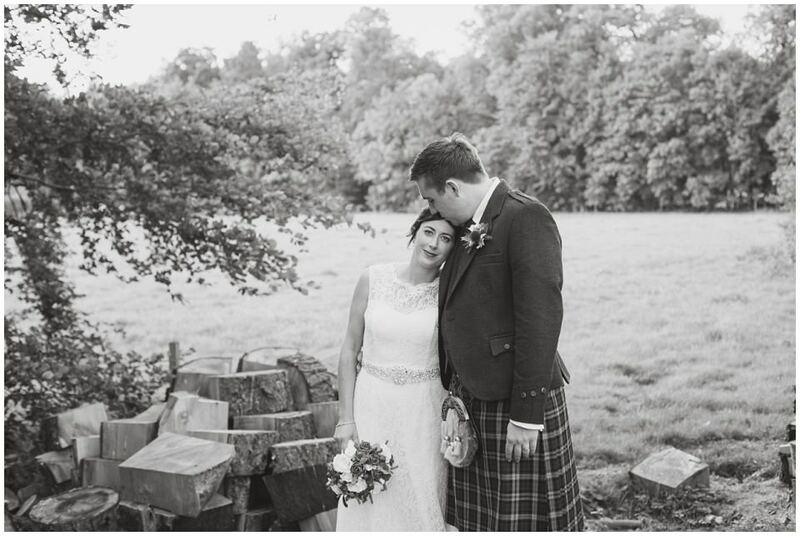 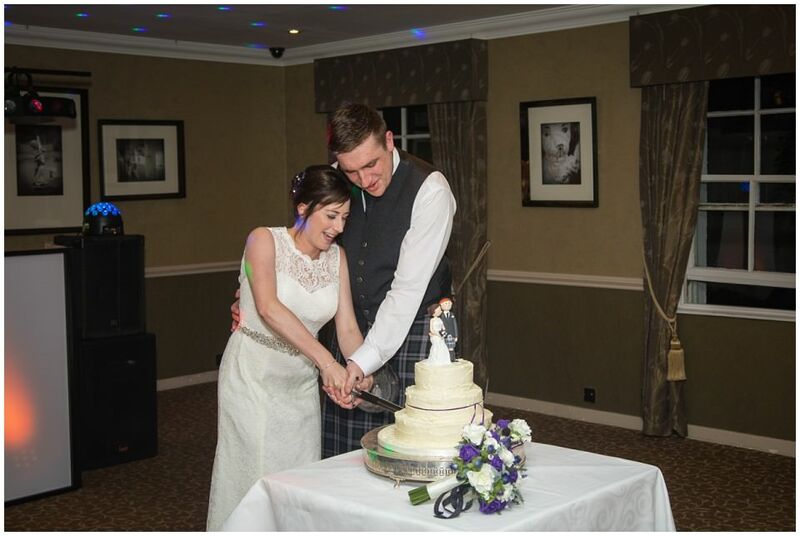 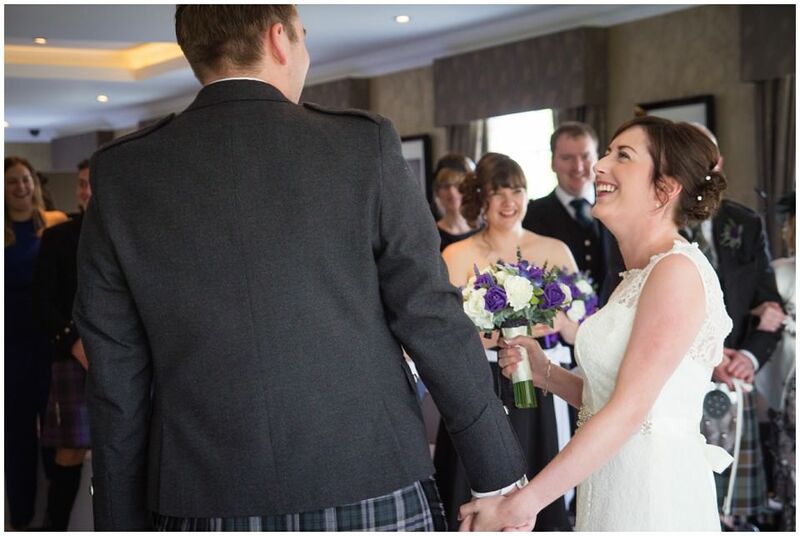 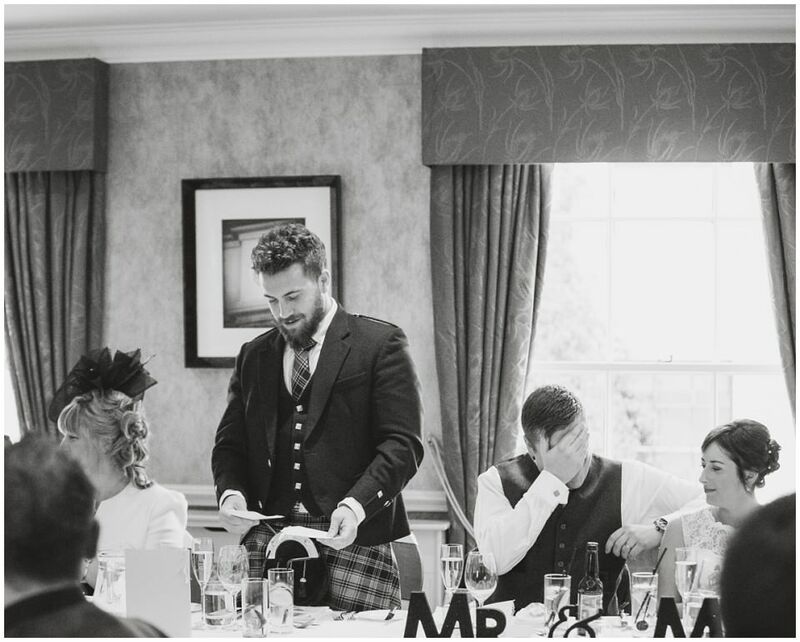 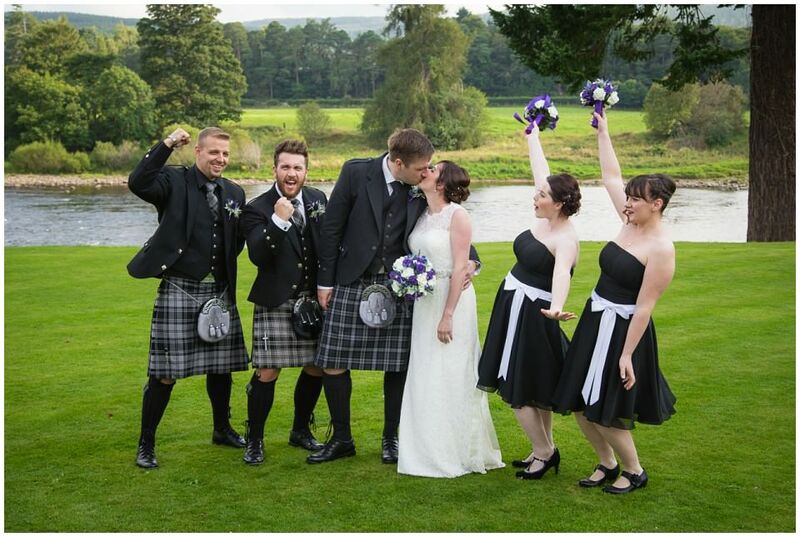 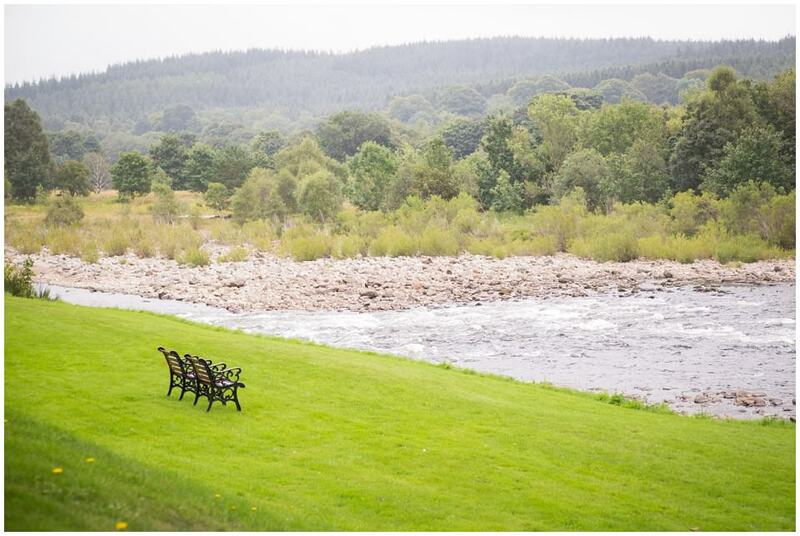 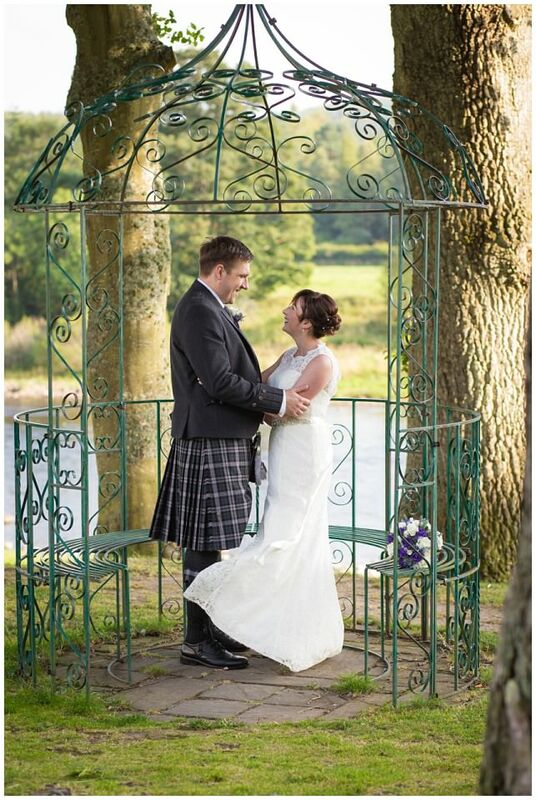 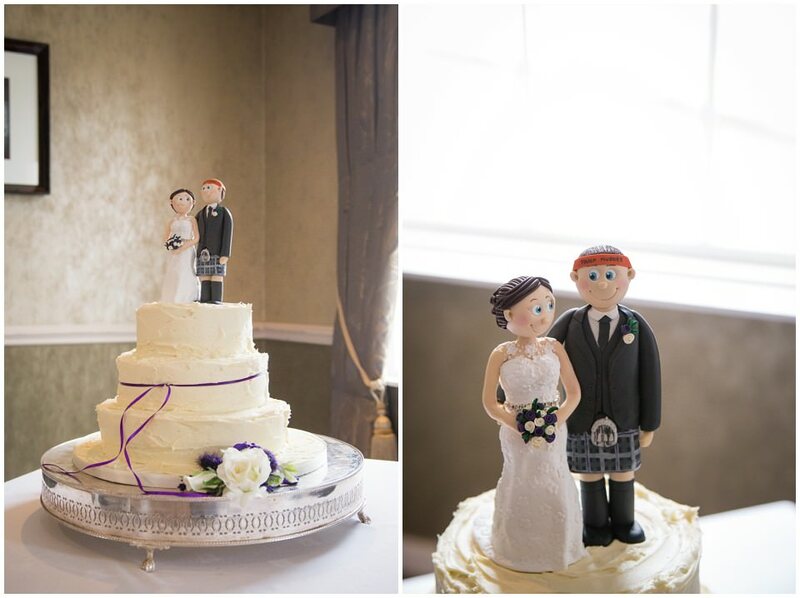 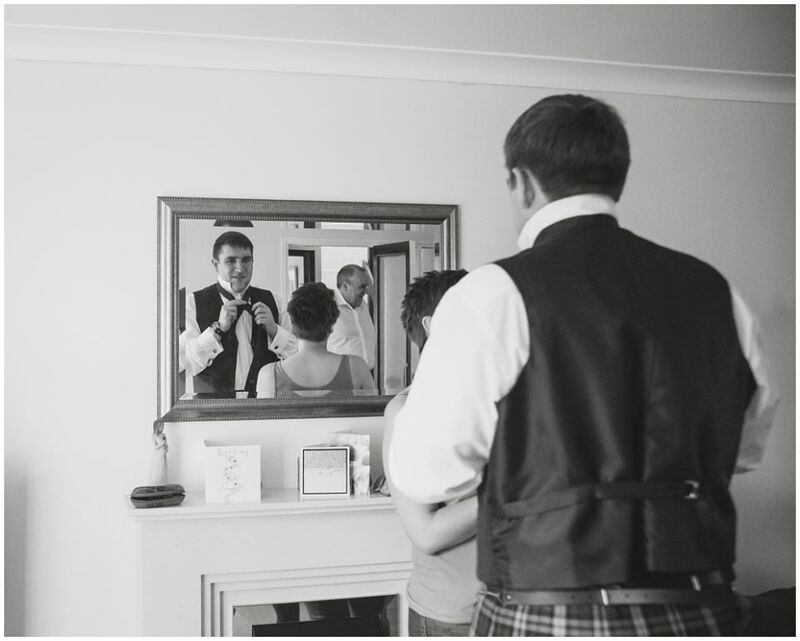 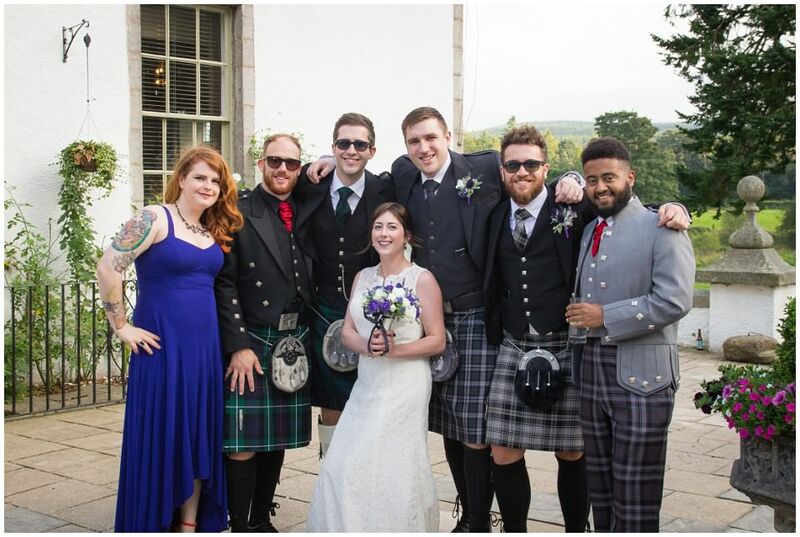 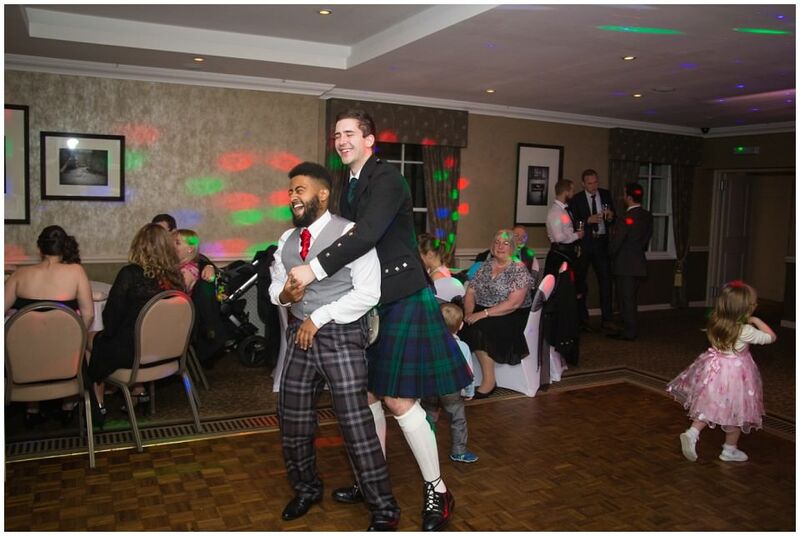 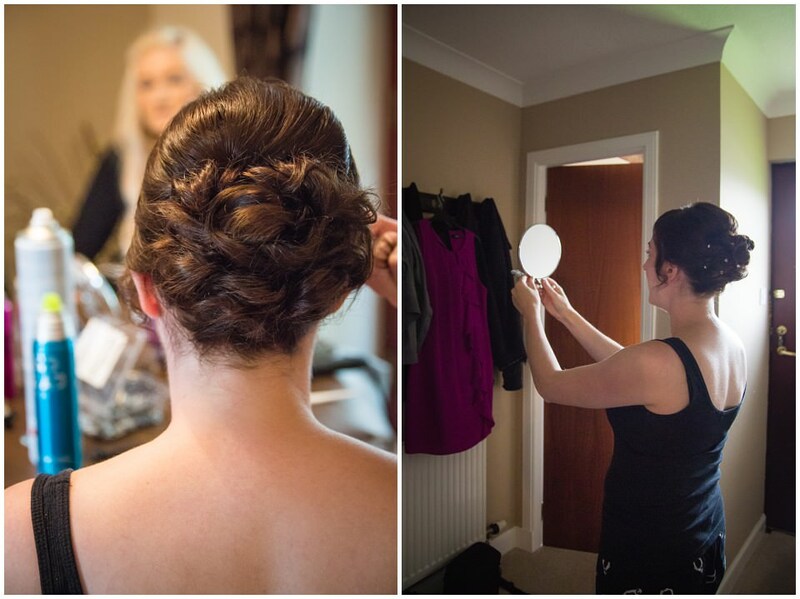 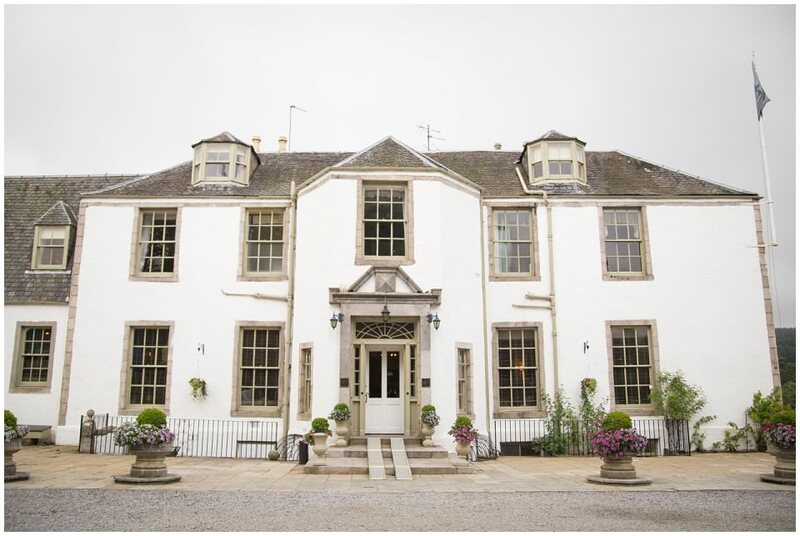 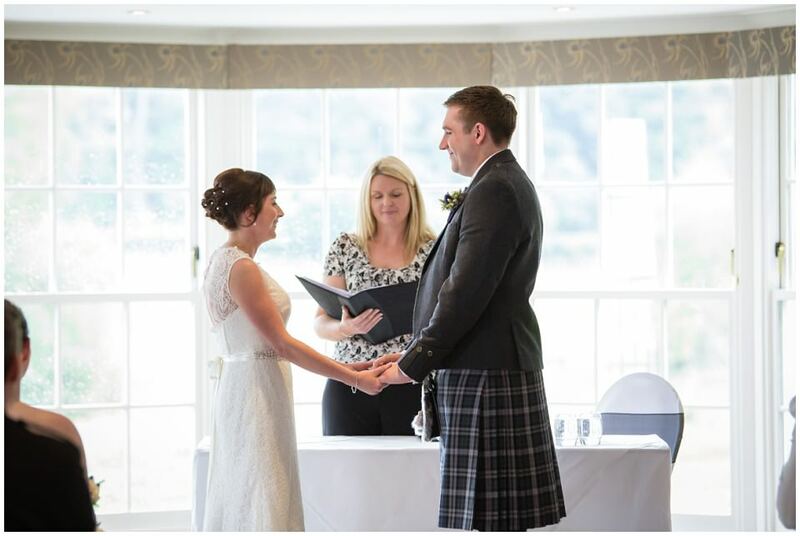 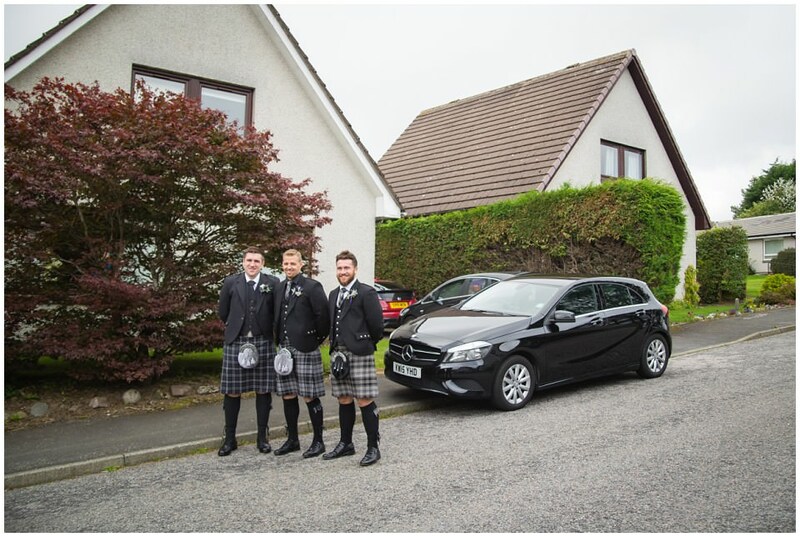 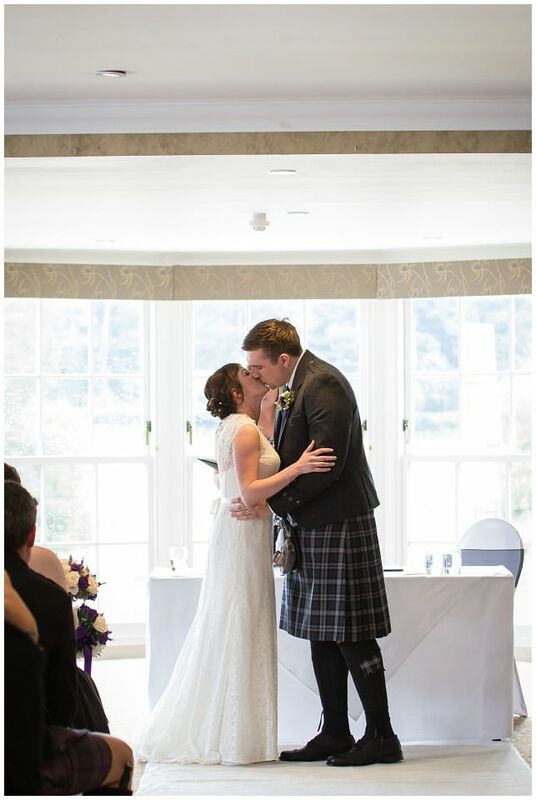 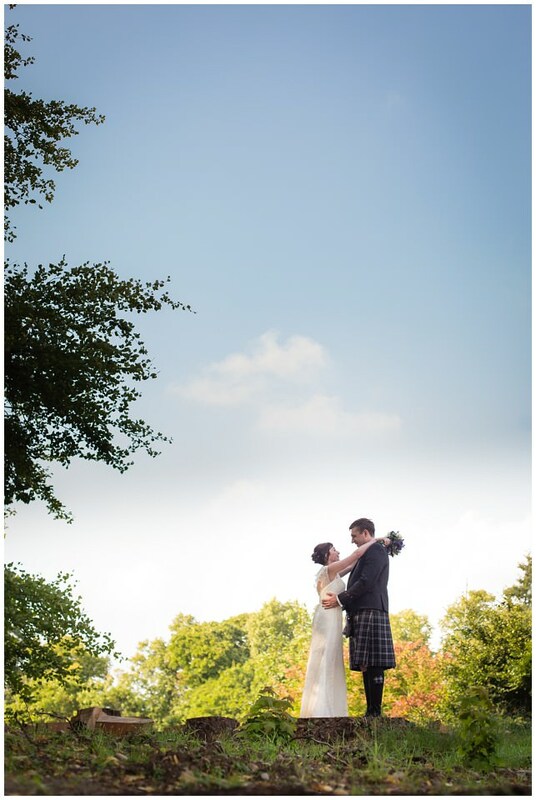 Andy & Joanne had an amazing day at Banchory Lodge and we were so happy to capture all the fun and frolics for them. 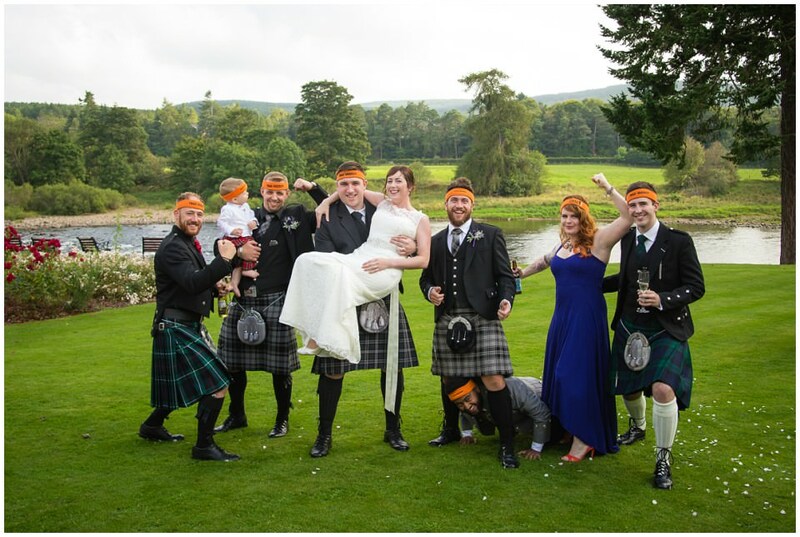 As you’ll see below they run with the tough mudder crowd and so there were some interesting group shots! 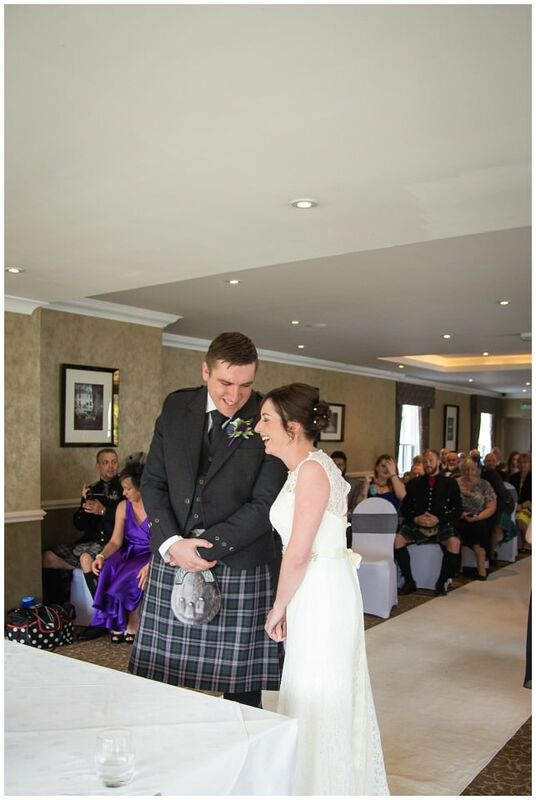 Andy even did a tough mudder obstacle race on their honeymoon to Las Vegas!! 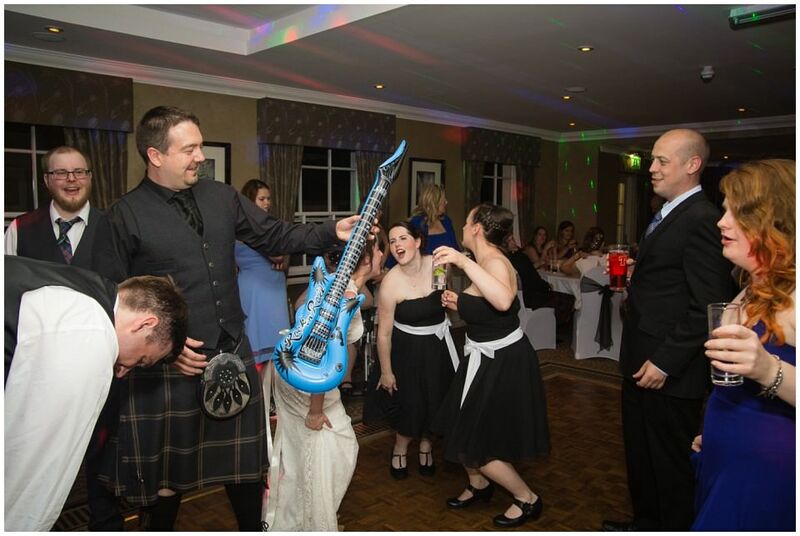 Now that’s commitment. 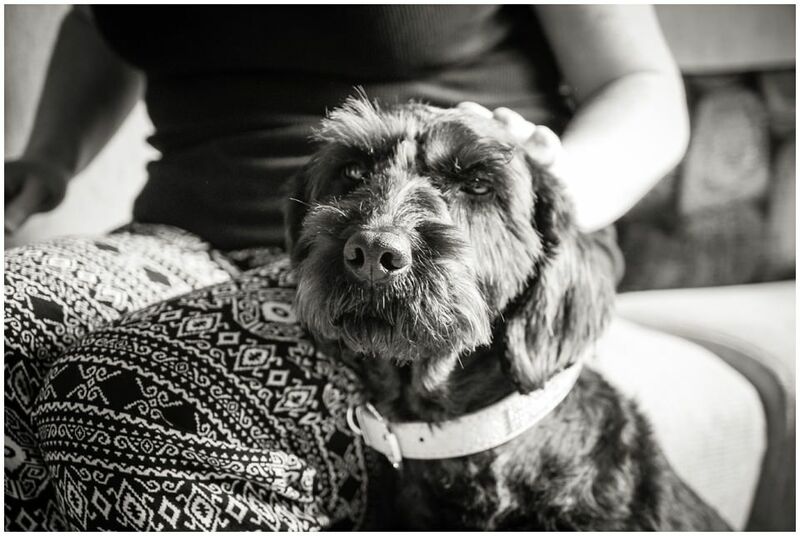 They also had their adorable labradoodle doggy with them all day. 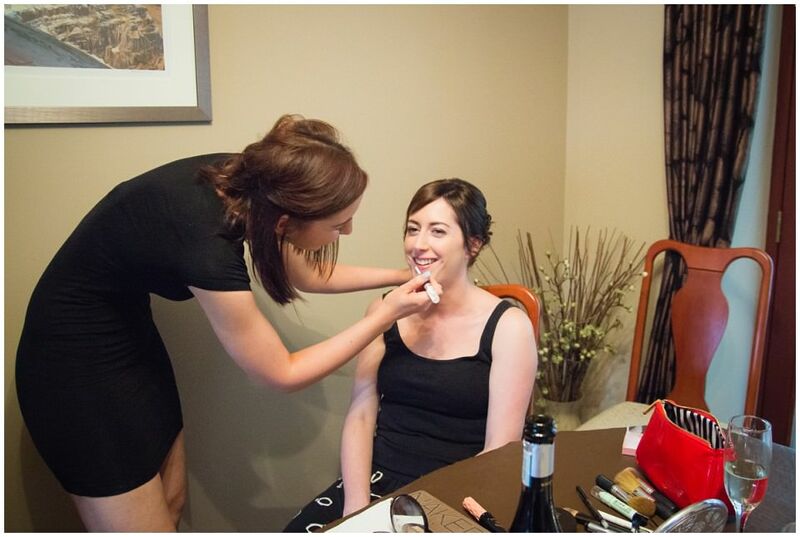 She helped with hair and makeup (honest! 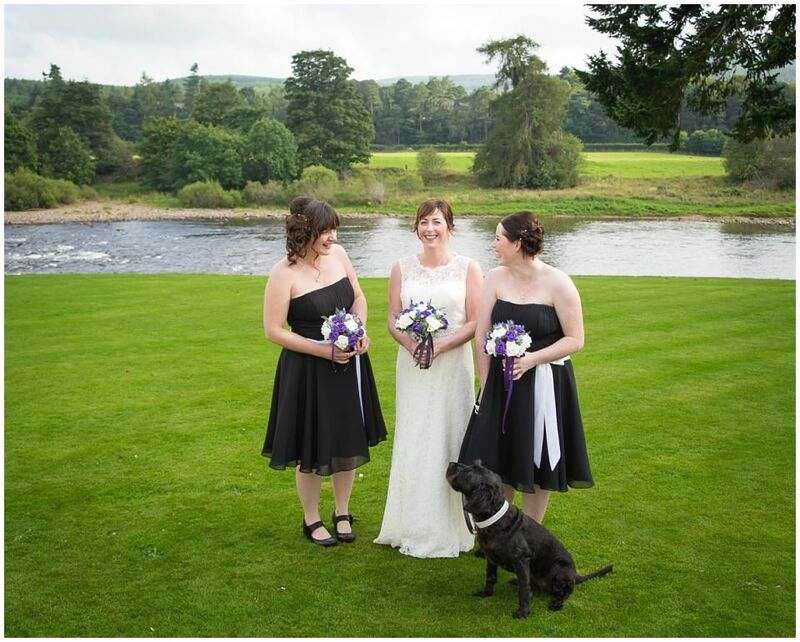 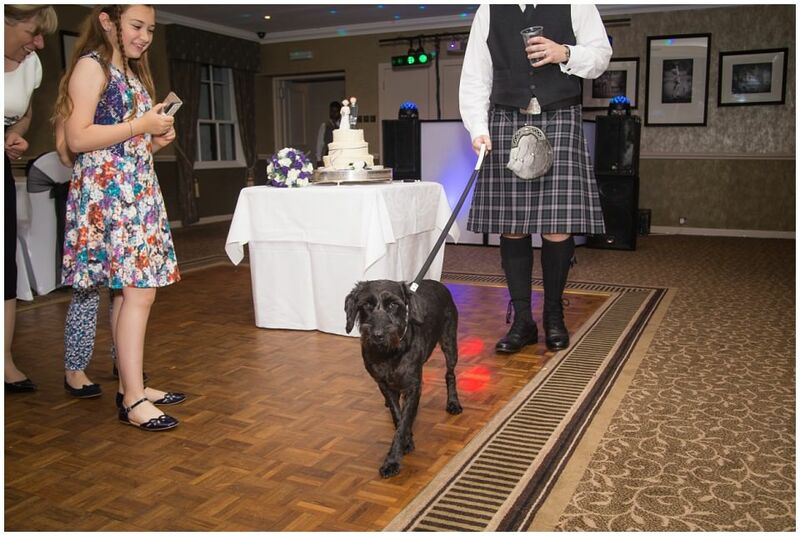 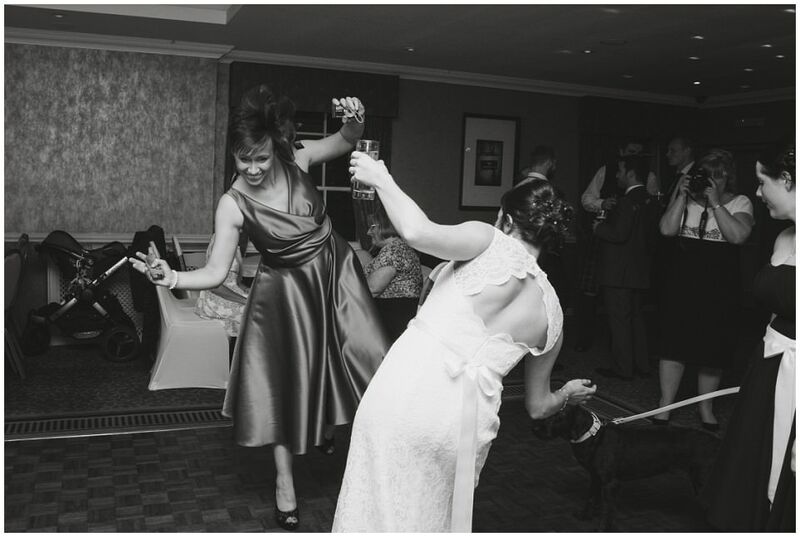 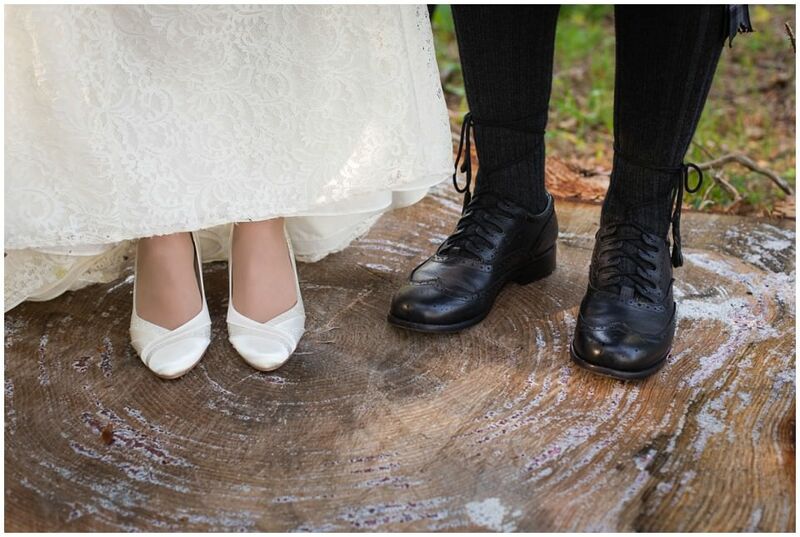 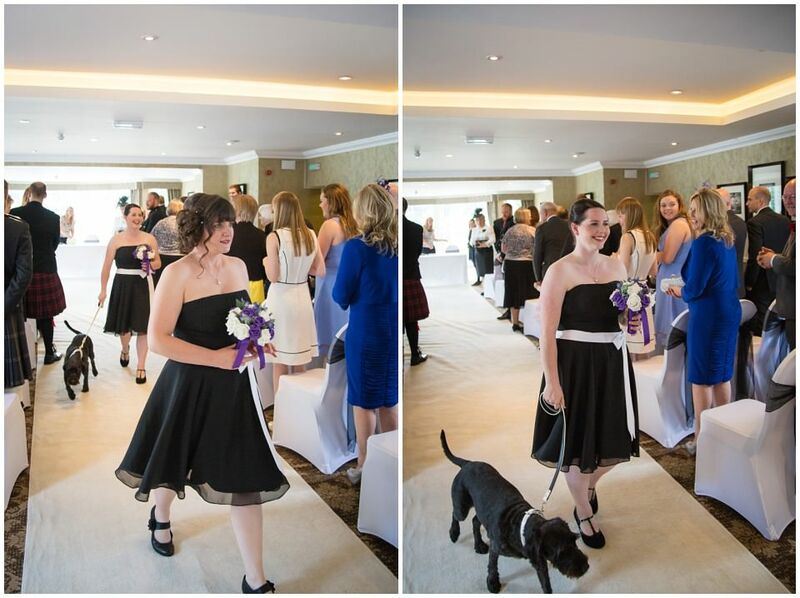 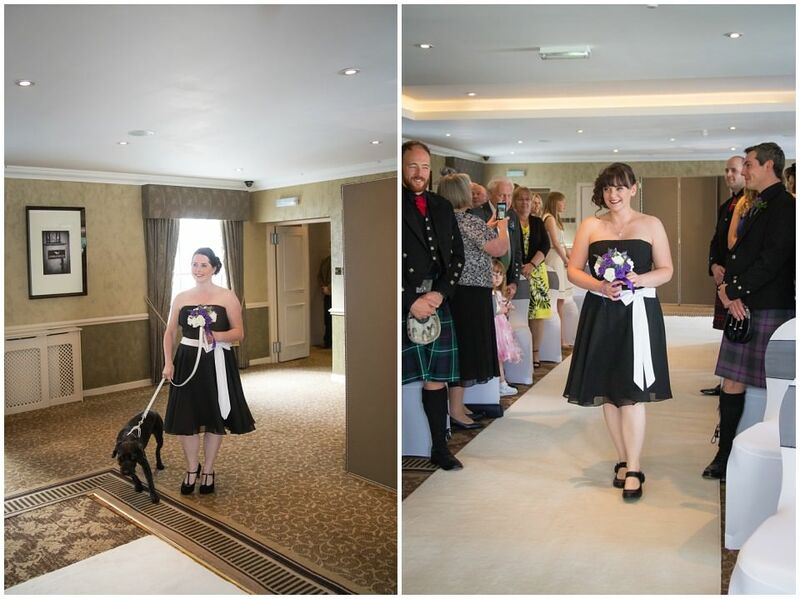 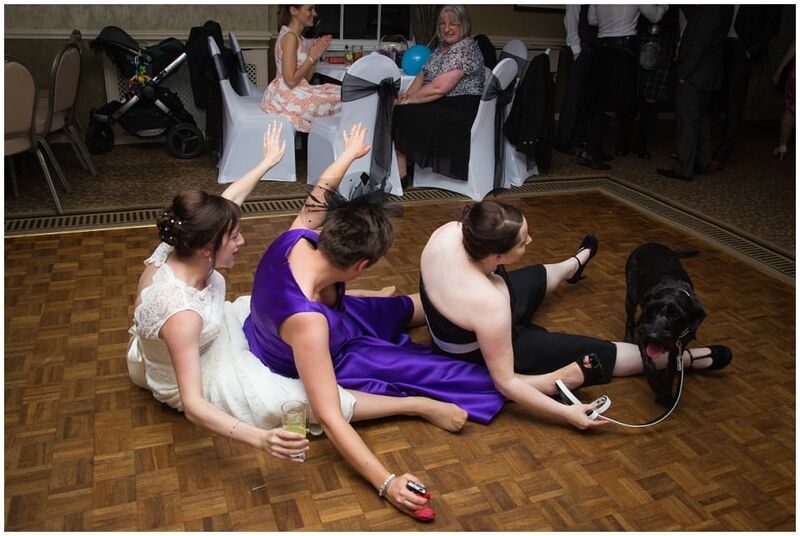 ), walked down the aisle with Joanne’s sister, and even stayed to jive her paws at the dancing! 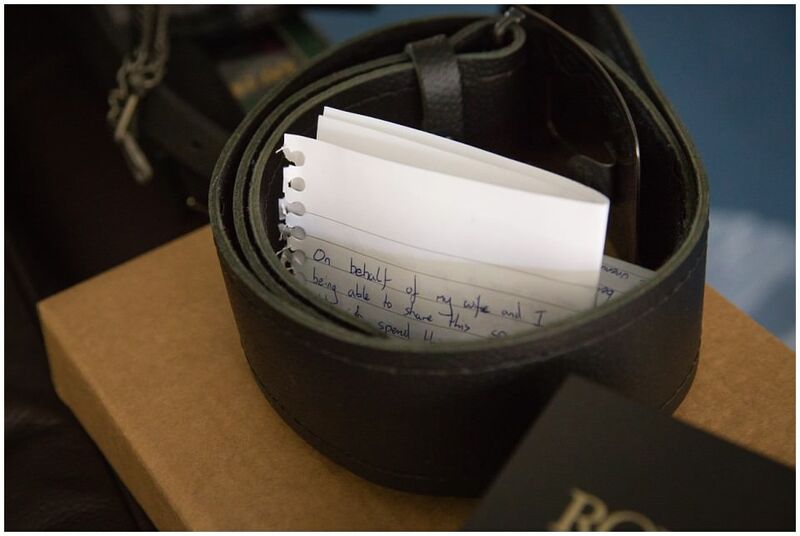 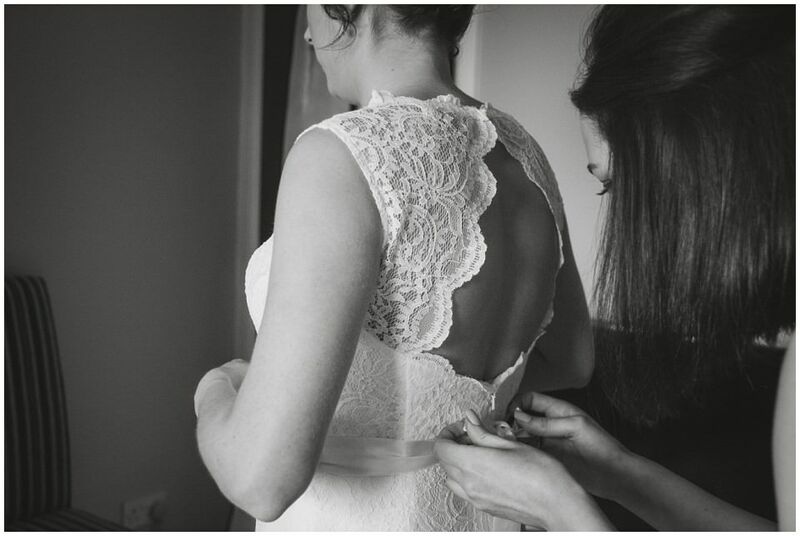 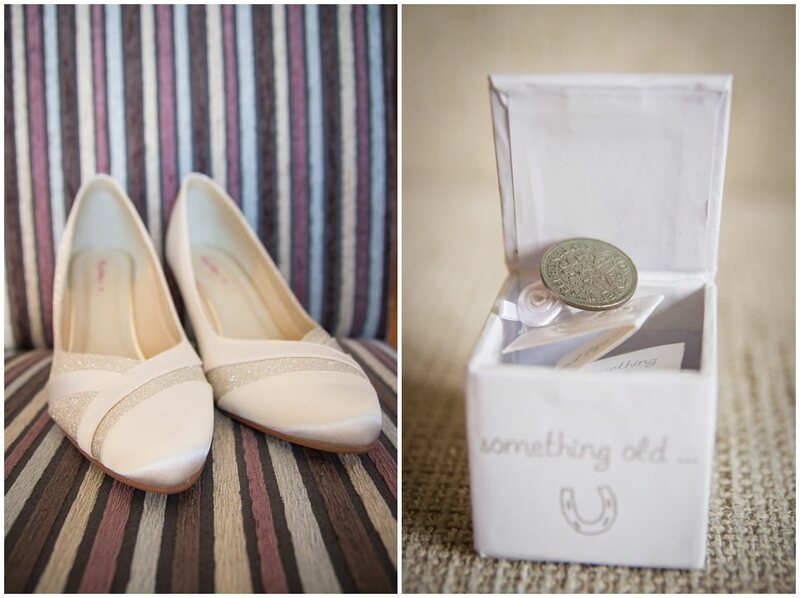 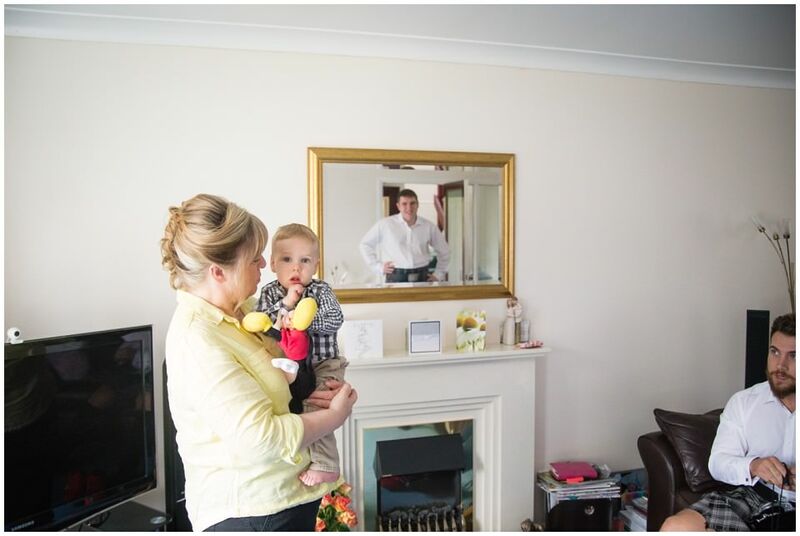 Joanne was surprised with an amazing gift on the wedding morning from her family. 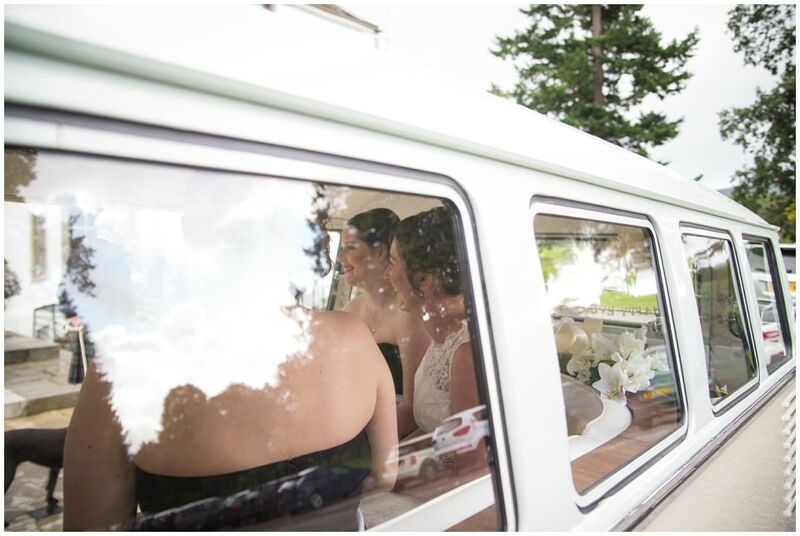 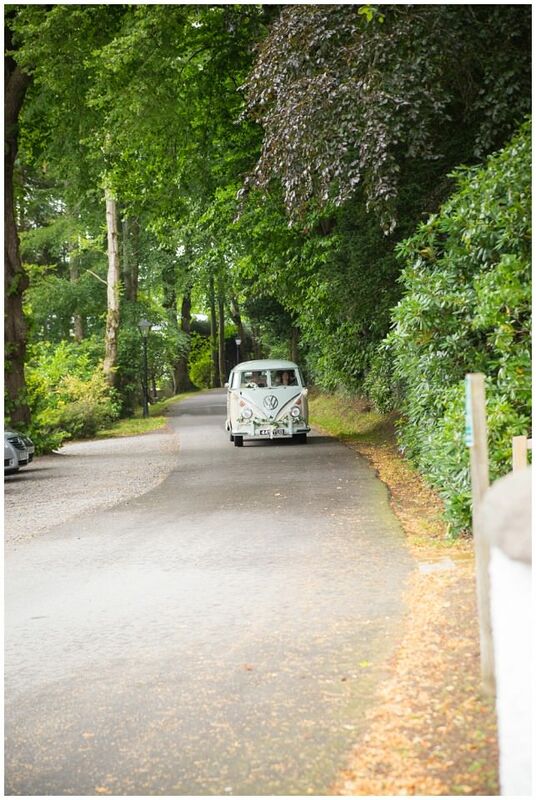 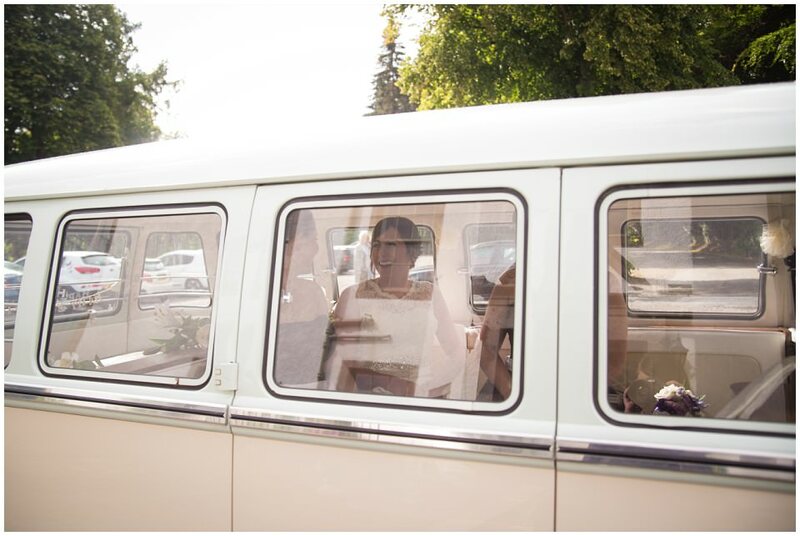 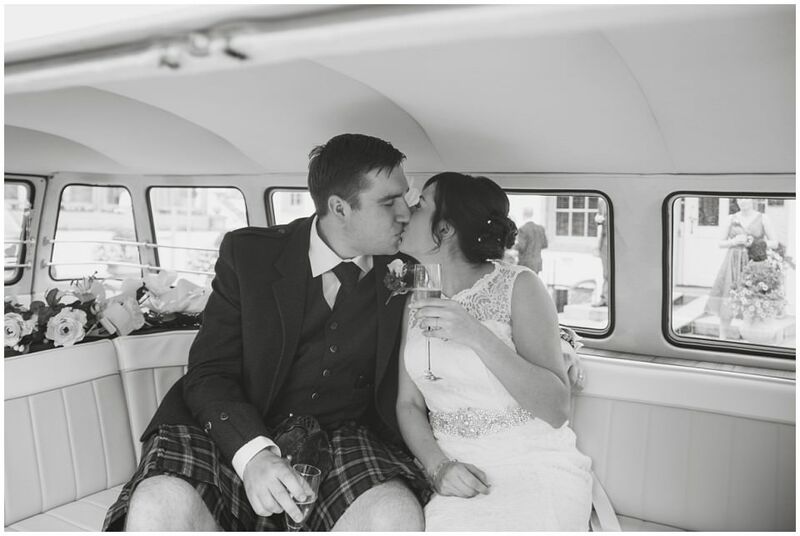 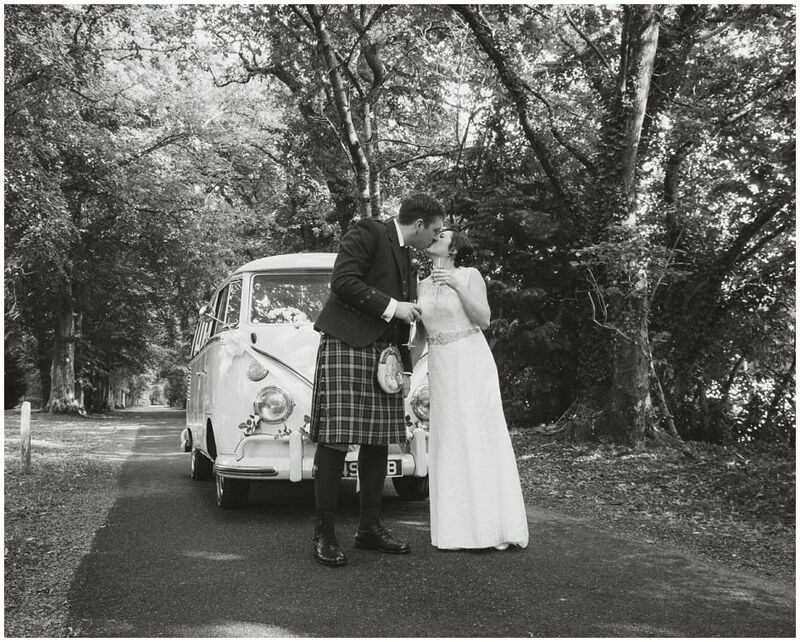 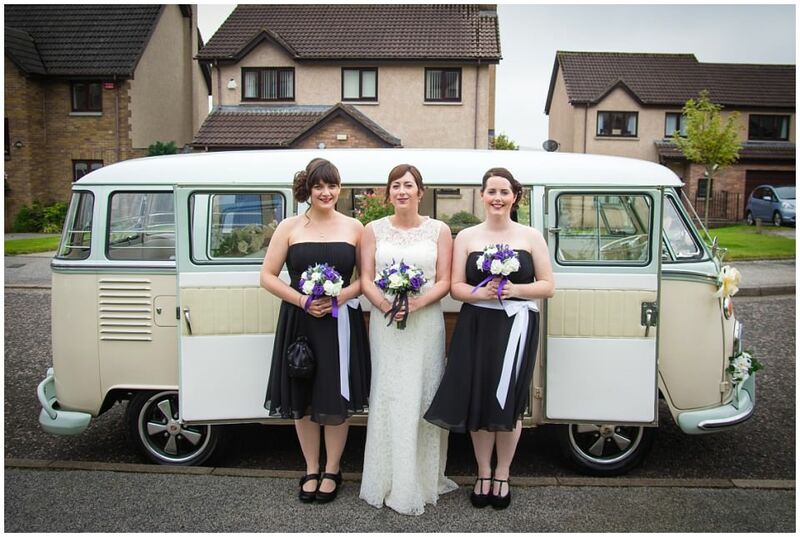 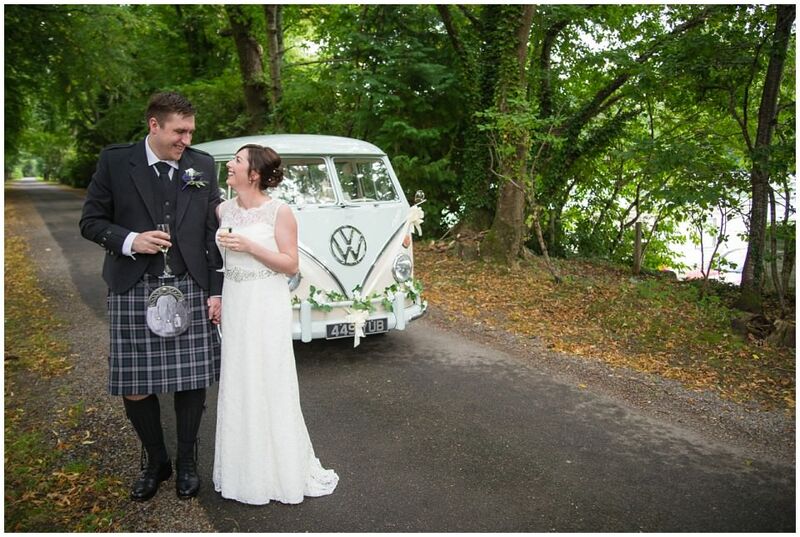 She and her bridesmaids would be travelling to Banchory Lodge in style in a decked out retro VW wedding van (named Angus) from Deeside Classic Campers! 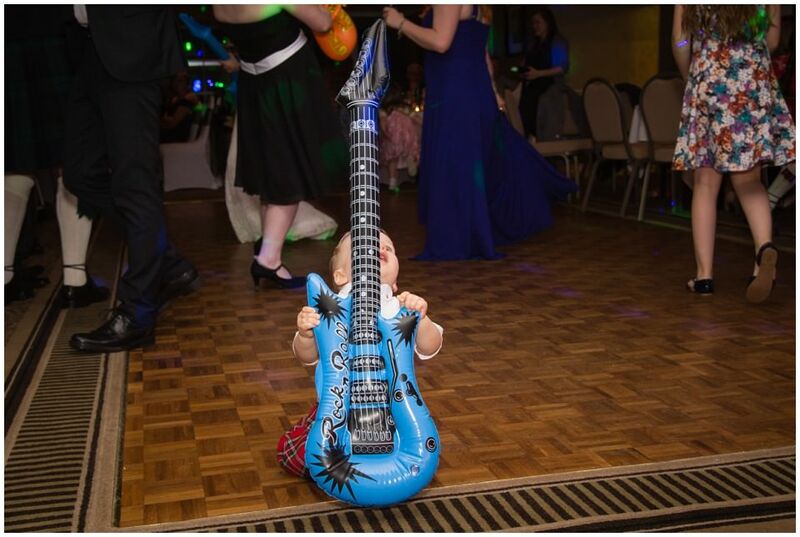 What a great present! 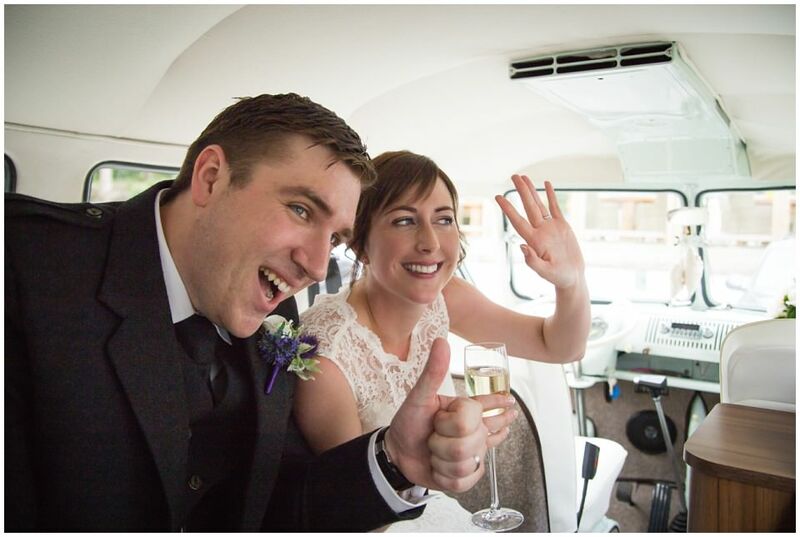 Mahoosive Congrats to Andy & Jo – Enjoy the set!